Only 1,000 more to go! Brave Enough To Fail is on a MISSION to MOTIVATE! Motivate as many of our young people as possible to achieve their full potential for success. As founder and president of BETF, it is up to me to get the ball rolling. 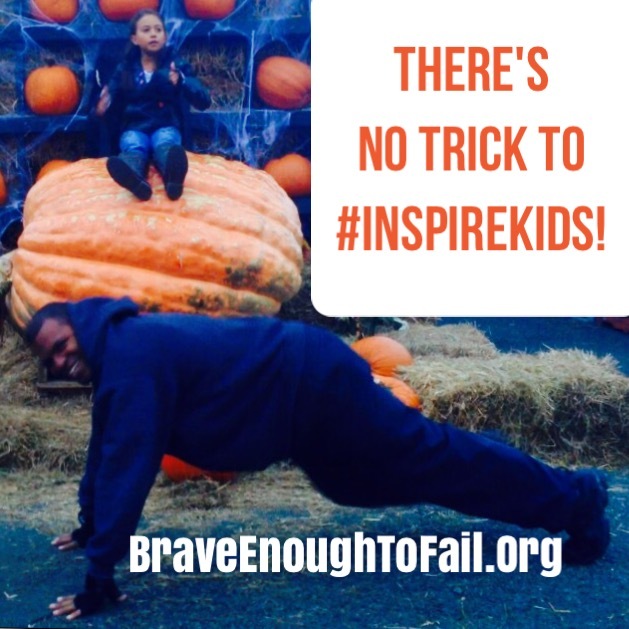 So, during the month of October I will be doing 5,000 push-ups in 30 days to help motivate and empower young people to realize their dreams and full potential. I’ll be doing my push-ups at different locations. 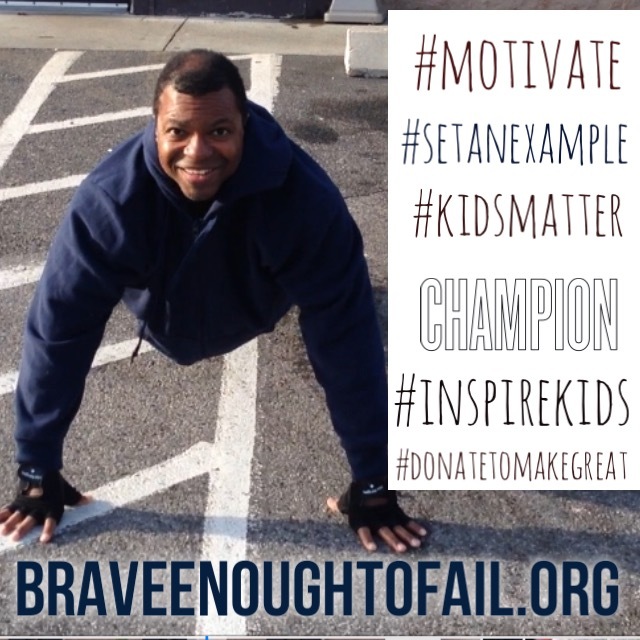 The goal is to raise funds and awareness for BraveEnoughToFail.org. 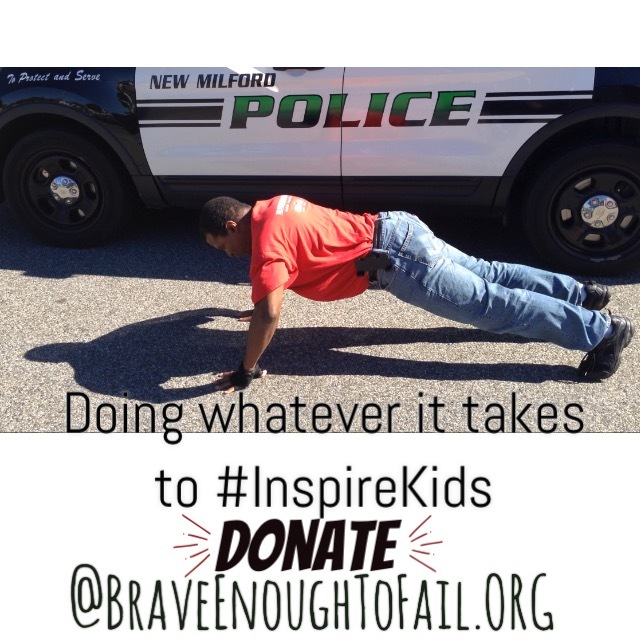 Brave Enough to Fail Inc. is a 501 (C) 3 Non-Profit, student motivational program that ,with your support, empowers young people to realize their dreams and full potential through educational achievement, courage, and hard work.The program provides a launch-pad towards success with motivational presentations, exposure to educational and career opportunities, and academic scholarships. The goal is to cultivate a generation of competent, self-assured, young people who have the tools to succeed. By donating to Brave Enough to Fail, You strengthen our communities, you strengthen our state, and you strengthen our nation, by empowering our youth. 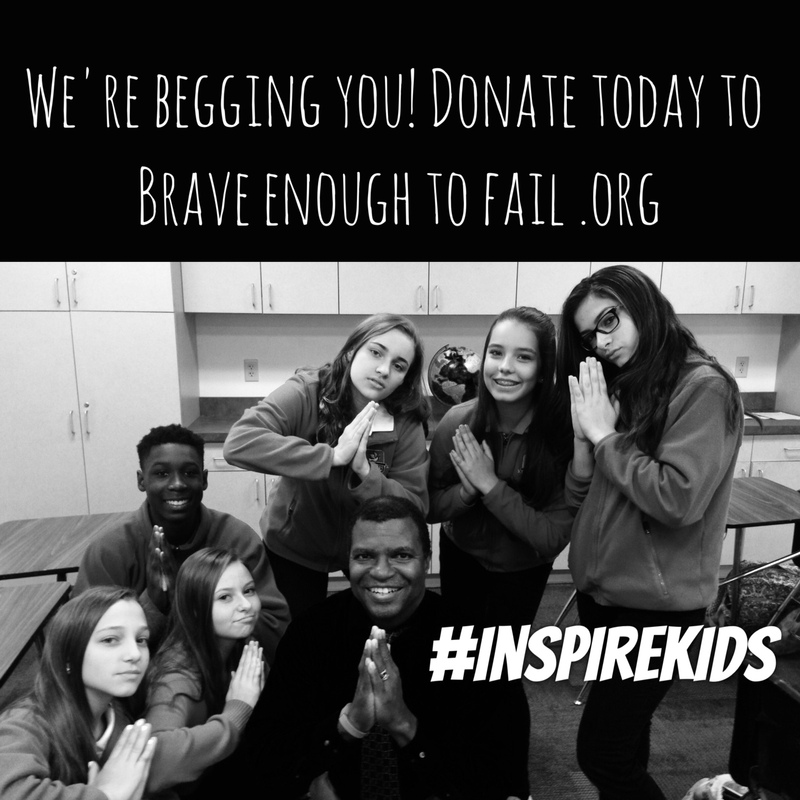 Please help #InspireKids today by making a donation. Thank you so much. A great big THANK YOU!! 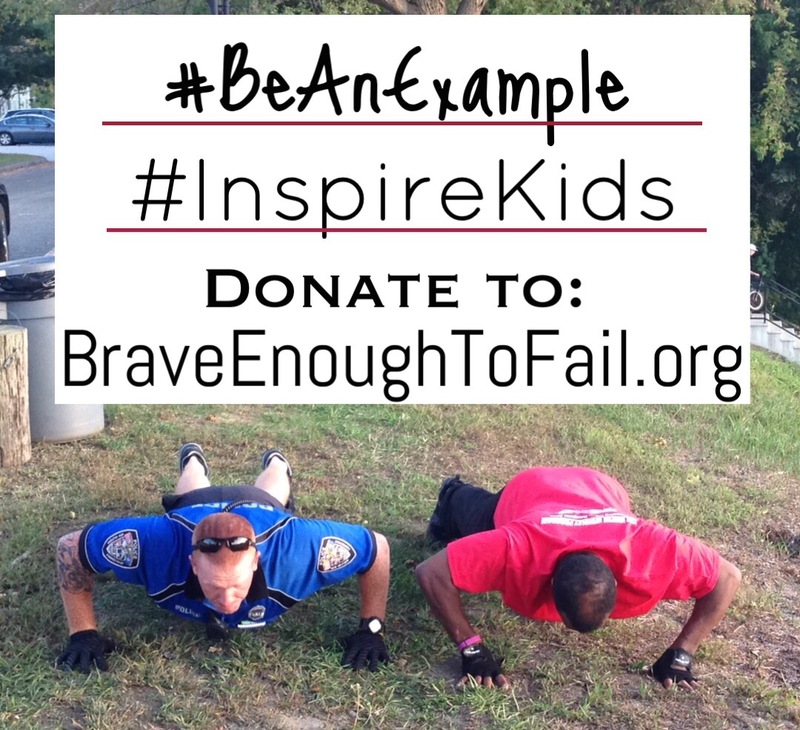 to the 14 Dunkin Donuts in the greater Danbury Ct and Brewster NY areas that are supporting and hosting 5K Push-Ups in 30 Days to #InspireKids. America runs on Dunkin. Our future runs on our Children. Our Children run on Inspiration. That is why our local Dunkin Donuts are supporting Brave Enough To Fail in our effort to inspire and motivate our youth with the courage and preparation to follow and achieve their dreams. 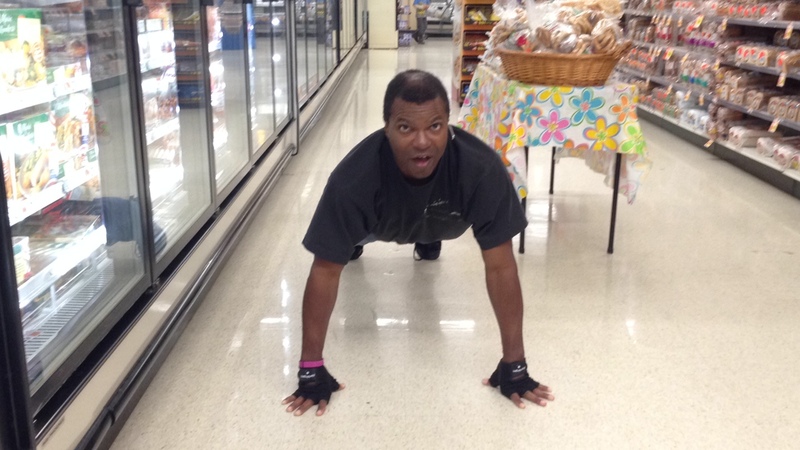 2,700 push-ups done and only 2,300 to go! Motivate as many of our young people as possible. Please join us and let’s #InspireKids to reach their full potential and achieve their dreams. My arms no longer hurt. When we push ourselves, we discover that we are capable of much more than we thought. This set of 100 was done at Wal-Mart, A Hallmark Store, Peach Wave and a construction site. 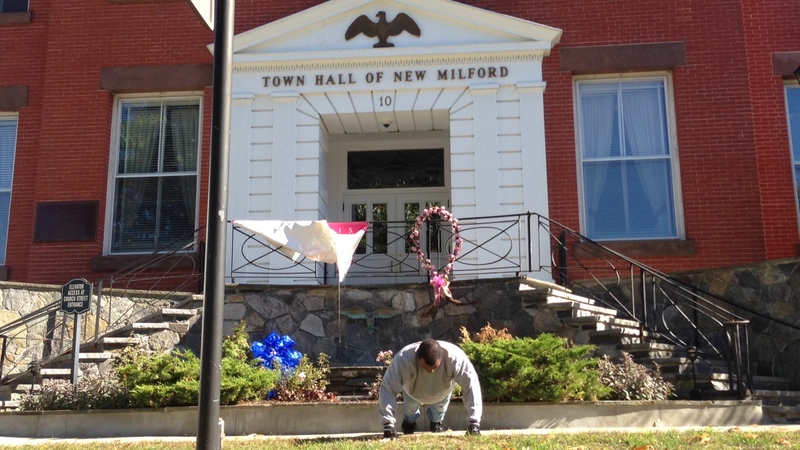 This set of 100 was done at Nordica Toys in New Milford, In Bank Street Natural Foods, next to a police car and at the gas station. By the way, do you notice the improvement in my speed and form from the first couple hundred. When we push past our comfort zone, we grow. 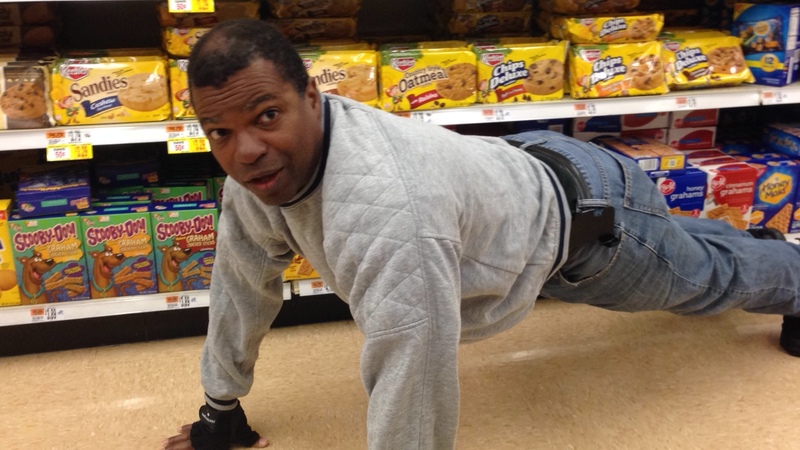 1,600 Toward 5K Push-Ups in 30 Days @ Stop & Shop & Dunkin Donuts LOL! For this set of 100, I did push-ups in the local Stop & Shop, two different Dunkin Donuts locations and next to my Cleveland Browns PillowPet. Brave Enough to Fail is a motivational program that empowers young people to realize their dreams and full potential through educational achievement, courage, and hard work.The program provides a launch-pad towards success with exposure to educational and career opportunities, and academic scholarships. The goal is to cultivate a generation of competent, self-assured, young people who have the tools to succeed. The educational achievement gap, especially between low-income & minority students and their more affluent peers is widening. Fewer young people are leaving school fully educated and empowered with the spirit of self-determination needed to succeed and even excel in the modern workforce and marketplace. Upwards of 40 percent of high school students are chronically disengaged from school, according to a National Research council report on motivation. Brave Enough To Fail inspires students by giving them a compelling reason to invest in their own education.